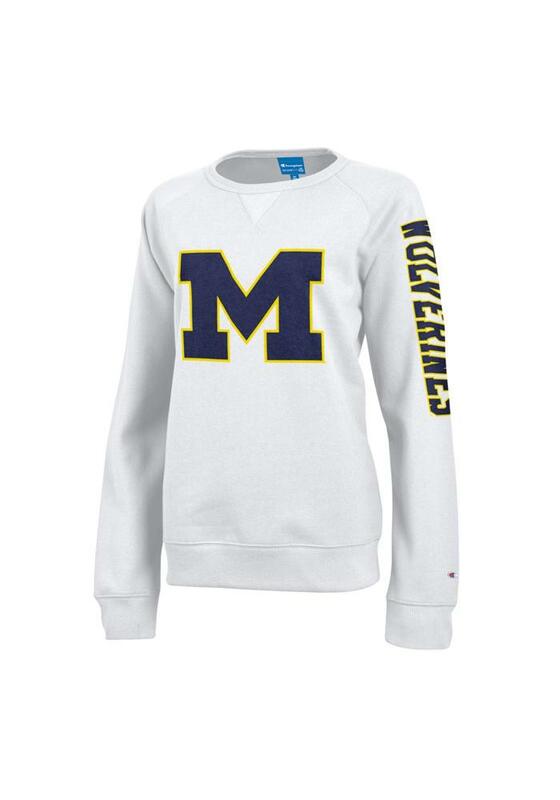 Make your way to the big game in this Michigan WolverinesJuniors White Eco Fleece Crew Sweatshirt! This Wolverines Long Sleeve Sweatshirt features a soft face with brushed back, mechanical stretch, and screen print team graphics. Stay warm and comfortable with this Juniors Michigan Wolverines Crew Sweatshirt.